Another of the old guard gone, fewer and fewer left. Never forget that he managed to marry Ava Gardner too, that guy did all right in life! For anyone interested in a memorial viewing, might I recommend his excellent turn in Richard Quine's underseen noir Drive a Crooked Road. domino harvey wrote: Never forget that he managed to marry Ava Gardner too, that guy did all right in life! In Ava Gardner: The Secret Conversations, Gardner tells a story of hers and Rooney's disastrous wedding night when the famous womanizer tried to christen the marriage and clammed up. All her stories about their courtship are worth reading. swo17 wrote: For anyone interested in a memorial viewing, might I recommend his excellent turn in Richard Quine's underseen noir Drive a Crooked Road. That one's great and really the whole string of noirs he did in the '50s is superb. I know it's not Dom's favorite movie, but his absurd sort of square performance in an other Quine movie, the fab for me Operation Mad Ball, is a real joy. He had to have been hung like Milton Berle right? There was that interesting return to films in the late 70s about horses too, probably inspired by his role in National Velvet. Rooney also turns up supporting the young heroes in The Black Stallion, the spin-off series in the 1990s and the much lesser known Cannon film rip off Lightning, The White Stallion. I also thought he was quite good in the incongruous seeming role opposite Michael Caine in Pulp! All of those Andy Hardy films in which he starred with Judy Garland are fun amusements, though the non-Andy Hardy films he did at the same time with Garland that were directed by Busby Berkeley are probably better. I can't think of a better tribute to Rooney now than this enthusiastic scene! Black Hat wrote: He had to have been hung like Milton Berle right? I'm checking the obituaries but it looks as if both died of natural causes. I think the real reason for not bringing up the film in this context is that it has nothing to do with Mickey Rooney. Arnold could have - and indeed has - used any other piece of footage to make his point. But hey! The real classy way to commemorate the life of a famous actor is to use it as a pretext for randomly shitting over a filmmaker you don't like! To signal your distaste for the film, obviously. 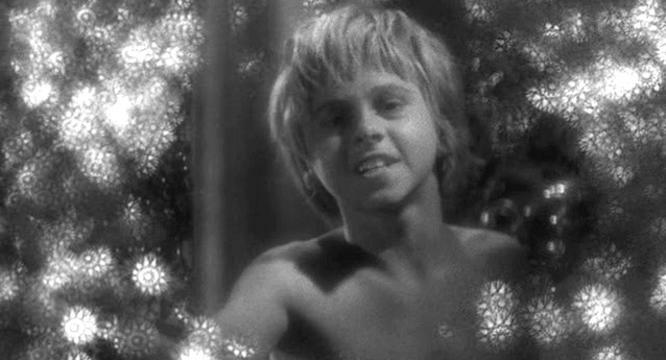 But I still don't know what your distaste for post-modern experimental filmmaking has to do with Mickey Rooney. Rooney often seemed happy to occupy a particular niche, but he could be really effective when working outside that comfort zone in films like Drive a Crooked Road and especially The Comedian. I enjoy Martin Arnold's work generally, and find ALONE. LIFE WASTES ANDY HARDY particularly rewarding and haunting, but would not list it as a Rooney work, per se. And the issue of repurposing film material of Rooney leads directly to the issue of the MICKEY MC GUIRE shorts. What entries in the series have been available to us, video consumers, to date, have been re-edited, re-scored, and often re-titled versions of the originals, so as to avoid copyright infringement. I think it's a fascinating footnote, that the very young Joe Yule, Jr. initially changed his name to Mickey McGuire legally so that (Columbia, and later RKO) could produce and distribute the series and avoid copyright infringement of the wildly popular Toonerville comics, by Fontaine Fox; as the main character of the series, as readers knew, was named Mickey McGuire! I've been fortunate enough to view two entries in the series, in their original form, and attest, and in fact insist!, that they represent a much higher level of production with regard to photography, editing and performance (No offense Spanky & Alfalfa, but IT IS Mickey Rooney!!!) than the contemporaneous OUR GANG series. Last edited by George Kaplan on Mon Apr 07, 2014 7:04 pm, edited 1 time in total. 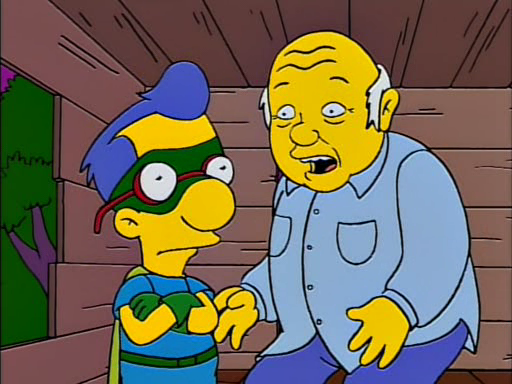 With all of the fond reminiscing of Mickey Rooney, I'm a little shocked that no one's mentioned his good natured self parody in the "Radioactive Man" episode of The Simpsons. I did, but it is worth mentioning twice. I would have, but wasn't sure in which decade to categorize his time as the number one box office draw. In fact, this discovery was preceded by an unpublicized domestic discovery of several dozen entries in the series which have since been deposited with the Library of Congress. As many reports of the spectacular Dutch discovery note, MICKEY'S CIRCUS has been "restored" by the LoC. I believe that the McGuire material found in Amsterdam, while significant and highly publicizable, was actually redundant to the LoC material. I thought Rooney was tops in The Comedian, in the Golden Age of Television set. He does a great job playing a raging megalomaniac. One of my favorite things in that set. Turner Classic Movies' video tribute. I swear they must already have these things made up in advance for Kirk Douglas, Doris Day, Luise Rainer, and every other TCM favorite who is at the far end of 80. Feego wrote: Turner Classic Movies' video tribute. I know for a fact radio and television news stations absolutely do this, so that wouldn't be surprising at all. I remember standing in line at the grocery store and seeing a tabloid proclaim Doris Day was on her deathbed. That was about seven years ago. Doris Day will outlive us all.